L. Frank Baum, the author of numerous children’s classics including “The Wizard of Oz,” left his impression on the world – in particular the literary and film world. Few people know that Baum spent the last nine years of his life living in Hollywood and was one of its earliest residents. At his home, located at 1749 N. Cherokee Avenue (at the corner of Yucca), which he christened “Ozcot,” Baum wrote many of his best loved “Oz” books, including “The Emerald City of Oz” (1910), “The Patchwork Girl of Oz” (1913), “The Lost Princess of Oz” (1917) and many more. 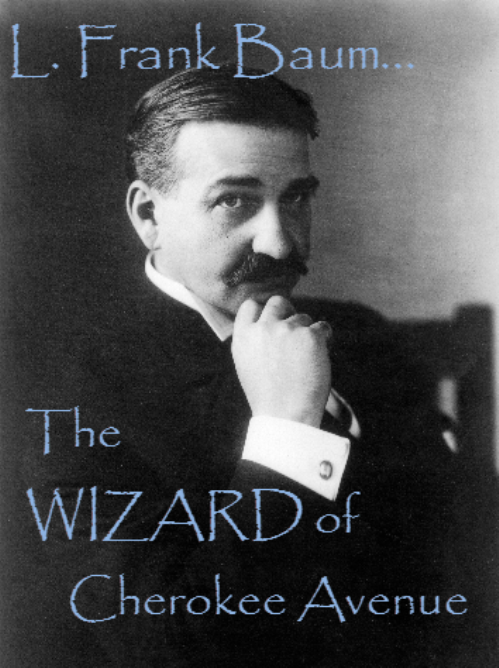 Lyman Frank Baum was born in Chittenango, New York on May 15, 1856. After graduating from Syracuse Academy in 1880, he found newspaper work. Two years later, he married Maud Gage of Fayetteville, New York. Baum was the editor of the Dakota Pioneer of Aberdeen, South Dakota, from 1888 to 1890, and the Chicago Show Window from 1897 to 1902. During that time, he wrote books and plays. His first effort was “Mother Goose in Prose,” published in 1897. Next, Baum joined forces on a children’s book with his friend and artist, W. W. Denslow. “Father Goose, His Book,” published in 1899, was a best-seller. One of the five books he published in 1900, also based on stories he had told his sons and illustrated by Denslow, was “The Wonderful Wizard of Oz,” which instantly broke sale records and made Baum a celebrity. More Oz books followed, and over the next two decades he wrote over 35 non-Oz books under various pseudonyms aimed at various audiences. Always looking for new channels for his creativity, Baum became interested in films. In 1909, he founded a company to produce hand-colored slides featuring characters from his Oz books. These were shown while he narrated the story, and an orchestra played background music. 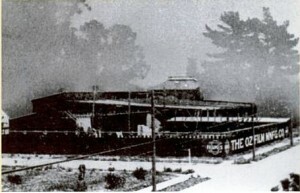 In failing health, Baum and his wife arrived in Los Angeles in January 1910 to create his own fairyland. 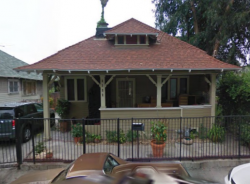 Their son, Frank, was living at 2322 Toberman Street. The Baum’s lived there before renting an apartment on Park Grove Avenue near downtown. Wanting their own home, Baum found the sparsely settled village called Hollywood, which at the time, was mostly citrus groves. 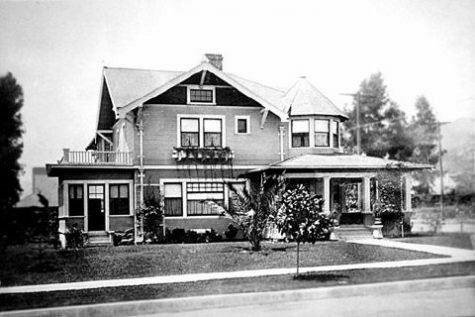 He bought a plot of ground and built a two-story frame house that he christened “Ozcot.” In 1910, the street was known as Magnolia, but was renamed Cherokee two years later. On the second floor, he had a long enclosed porch with a view of the distant mountains, and downstairs there was a large sunroom where he grew flowers. He built a large bird cage, big enough for a zoo, where he had hundreds of rare and exotic song birds. In his garden he planted roses, dahlias and chrysanthemums. Before long, he was recognized as a champion amateur horticulturist in Southern California. Even though Baum had traveled the world, he developed a great affection for his new home: “Travels through Sicily, Italy, or a winter on the Upper Nile, all have their attractions but from what I have learned by actual experience, none of these countries compares with Southern California. There is a charm in the very atmosphere, an indefinable something which attracts and holds,” Baum once said. At the time of his move to Hollywood, he was working on what he hoped would be the last “Oz” book, “The Emerald City of Oz.” Baum continued to turn out children’s stories at an amazing rate. To avoid flooding the market with books under his own name, he did one series after another, for both boys and girls, under the pen names – Floyd Akers, Edith Van Dyne, Captain Hugh Fitzgerald, Laura Bancroft, Suzanne Metcalf and Schuyler Stanton. Baum’s arrival in Hollywood, just a year before the advent of motion pictures, made it inevitable that he would be drawn into the fledgling industry. An earlier attempt at filmmaking in Chicago lost him a great deal of money, and in June 1911 he was forced to declare bankruptcy. However, with royalties coming in from his books, he was by no means a charity case. In 1914, a venture into the film business, the Oz Film Company, produced six movies but there were severe distribution problems and that effort also failed, though not as disastrously. The Oz Film Mfg Co. located at the corner of Santa Monica Blvd. and Lodi. 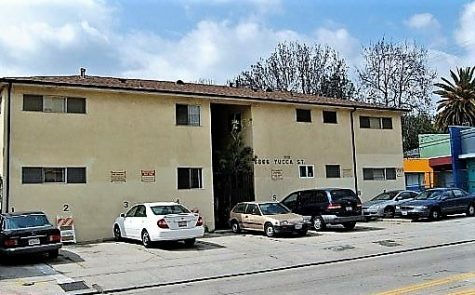 The site as it looks today, only one block from Hollywood Forever Cemetery. Baum and his wife Maud lived quietly at Ozcot, gardening, writing stories, and answering the hundreds of letters he received from Oz-struck children. In February of 1918, Baum took ill at Ozcot and was operated on at Angelus Hospital. Maud blamed his illness on the hard work of his newest novel, “The Tin Woodman of Oz,” which was due to be published in the fall. Baum, now immobile due to his illness, was restricted to minor tasks throughout the day. The pressure and strain contributed to attacks of angina pectoris, as well as unpredictable gall bladder problems, and excruciating sharp pain jabs across his face. In a coma for twenty-four hours, L. Frank Baum died at Ozcot at 7 p.m. on May 6, 1919, supposedly uttering his last words, “Now we can cross the Shifting Sands,” just a minute before expiring. Baum was survived by his wife Maud and four sons, Frank, Robert, Harry and Kenneth. 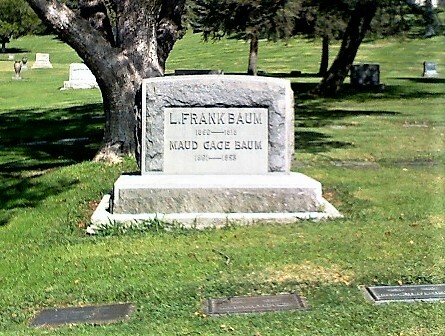 The grave of L. Frank and Maude Baum and members of his family. A quartet from the Los Angeles Athletic Club’s, Uplifters’, of which Baum was an organizer, sang several selections including, “Eternity,” with Harold Proctor as a soloist. The authors’ oldest son, Captain Frank J. Baum was in France at the time serving in World War I. Two of Baum’s works, “The Magic of Oz” (1919) and “Glinda of Oz” (1920) were both published posthumously. Maud Gage Baum continued to live at Ozcot and died there on March 6, 1953. After breaking her hip, she had been confined to bed the greater part of the last four years of her life. She was 91. Ozcot was razed in the late 1950s and a non-descript apartment building replaced it. It’s doubtful that the current residents are aware of the literary history that occurred on this site. Ozcot as it appeared in Baum’s life time. The site of Ozcot as it is today. NOTE: On August 15, 1939, The Wizard of Oz, starring Judy Garland, premiered at Grauman’s Chinese Theater – only 3 blocks from Ozcot.